Dimension: 410 (W) x 665 (D) x 340 (H) mm. Electrical: 220 V, 50 Hz, 2 kW. 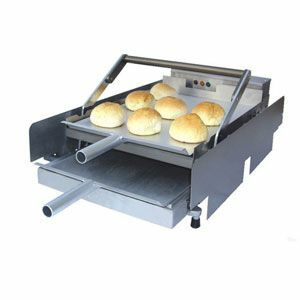 The bun toaster can toast up to 12 buns (heels and crownsBatch Bun Toaster Features: ◇Caramelize buns: 12 heels and crowns each batch in only 55 seconds. ◇Buzzer alarms when toast cycle ends. ◇ Adjustable temperature and cycle time. Accessories: one aluminum spatula, 1 bun pan. We are offering bun toaster. 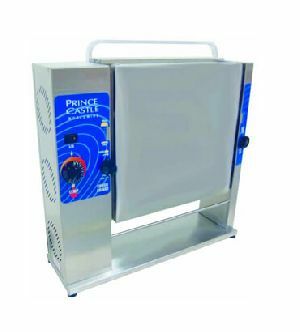 The bun toaster can toast up to 12 buns (heels and crowns batch bun toaster features: ◇caramelize buns: 12 heels and crowns each batch in only 55 seconds. ◇buzzer alarms when toast cycle ends. ◇ adjustable temperature and cycle time. Accessories: one aluminum spatula, 1 bun pan.